I recently “won” at Nano, but I don’t really see it as achieving much. It was the same last year, the whole short story thing. That’s 2 years running now that I haven’t had a “novel” at the end of November *sighs* I know 50,000 words is 50,000 words, but it’s just not the same when you’re disappointed with what you ended up with. So now I’m looking forward to next year, as 2013 has been a bit of a damp squid on the writing front (too much going on in my life perhaps?). Have I lost my passion? My enthusiasm? I haven’t got writers block, I could pick up a pen this minute and write 1000 words. No, I’ve lost something but I’m not too sure what it is lol. Perhaps I just need a new project to be excited about? 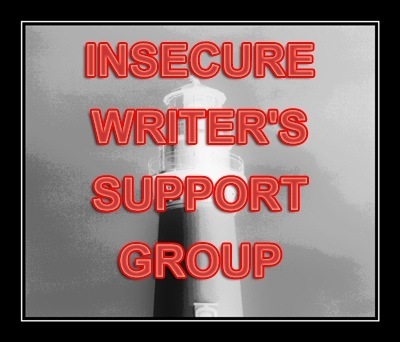 This entry was tagged being a writer, Blogs for writers, book writers, Insecure Writers Support Group, IWSG, story writer, Writer, Writer Resources, writers, writers block, Writers blogs, Writers Resources, Writing. Bookmark the permalink. It is something to hit 50,000 words no matter what though. Think how many people didn’t. Think how many wanted to and didn’t even try? Hope your ankle is better soon. Next year will be awesome! Well, writers block certainly isn’t your problem is it Sweetie? If you can rattle off 50,000 words you’re doing well in that direction.But if it isn’t giving you a book at the end and your editing won’t help create one then maybe his time your idea didn’t enthuse you. Why not ignore it for a week and then go back and see if the original idea can be changed slightly and edited into something you enjoy. It doesn’t sound like you’re short on ideas either if you can write 1000 words at the drop of a pen, but it does sound to me s though you’re preoccupied and it’s that causing your problems. Could it be Christmas causing this? If so you need to get the gift buying etc out of your system before you take a fresh look at everything. I hope the ankle is soon better but you’re being pampered in the meantime. Welcome back darling. Writers block, never! 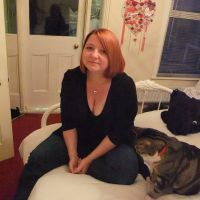 Its been a busy year and moving whilst doing Nano, well just plain crazy! Well done for winning and once xmas is over you can come back revitalised. I think you need a bit of fresh inspiration, I have just started to get into Experimental Travel and you explore your own city in a complete different way. Check it on Wiki. Sometimes we need a bit of change in our lives to give us a mental boost, we get very set in our ways sometimes. Finishing NaNo is a great achievement! Congrats!! Keep working on these NaNo stories. Edit, polish, and perfect them. Then send them out to editors/agents. These stories are worth something! I am sorry that you sprained your ankle and I hope it gets better soon. Keep your chin up! I had a bad case of writer’s block this year, but then I started to write a memoir.. perfect solution!!!!! I am now three chapters into it. So maybe try writing a memoir? PS- my blog is entitled ‘Writer’s Block”. Maybe writing short stories is your thing? You should put them together in a collection and publish them as an eBook. I’m not sure how you could reignite your creative fire–but I know that mine sometimes sputters when I feel that I’m writing what someone else wants me to write, and not what comes from my heart. That’s happened enough times for me to recognize it, and then I back off and try to rediscover what drove me to write a particular story in the first place. I think you still have that fire inside, but sometimes it takes a break and maybe some time reading other stories to let it filter back to the surface. Anyway, I hope your ankle feels better soon! We all have times like this, Vikki -it will get better I promise. Well done for completing Nano – an achievement in itself. Hope the ankle gets better soon… wine and chocolate helps, I’ve heard. Hey Vikki, Sorry about your ankle and congrats on winning nano. It is a great accomplishment and I hope you celebrated it. You have written so many short stories, have you looked into turing it to an anthology. I decided that sometime early 2014 I am self publishing something. I figured the process will give me the motivation to continue. It’s been two years that I have seriously been at this writing gig and I sometimes feel like I have nothing to show for it. Well, self publishing something is a perfect way to get out of that funk. Good luck and let me know if I can help.